Choose from these items to create the perfect wedding menu for your special day or check out our Sample Wedding Menus at the bottom of this page for inspiration! If you’re planning a different style event, we have a general catering menu with more items to choose from. Navigate to it in the main menu bar above. 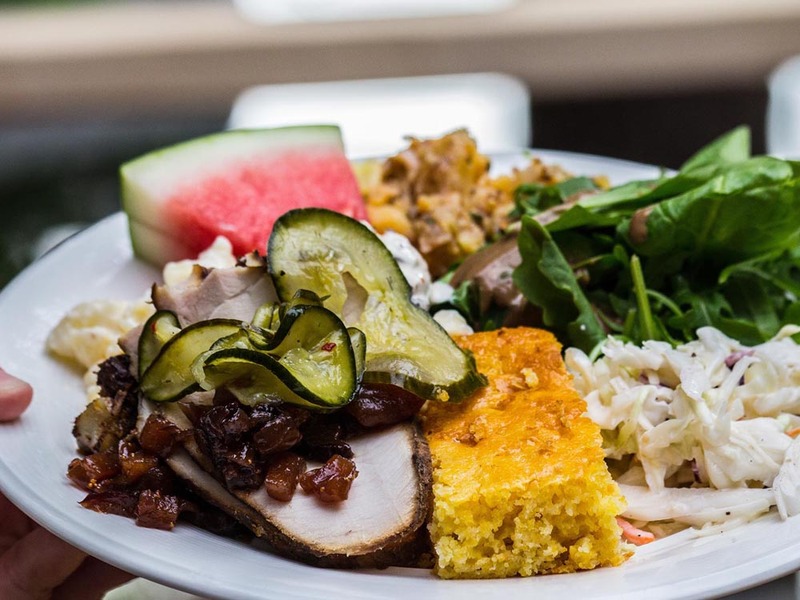 Pulled pork, beef brisket, smoked chicken salad, turkey club, smoked meatloaf….we could go on and on. Want sliders? Let’s create something just for you! Delicious Genius….an appy sized scoop of our potato, quinoa or beet salad served in a 4 oz glass mason jar for easy serving, eating & enjoying! 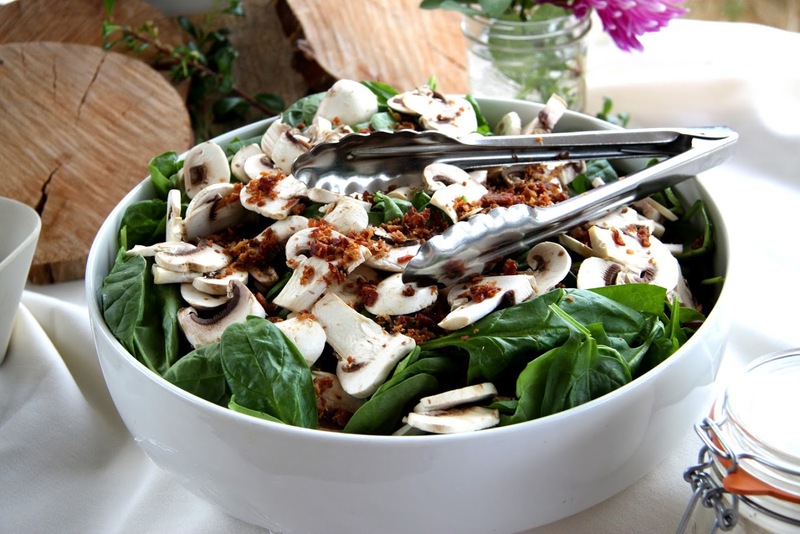 Baby spinach leaves tossed with bacon, toasted sliced almonds and sliced mushrooms. Served with our creamy white house dressing on the side. Dry or messy, these ribs are the real deal. 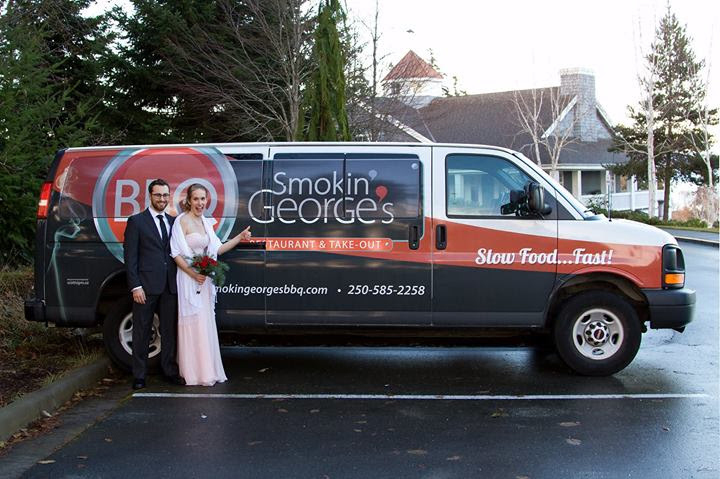 Smokin’ George uses side ribs so portion sizes are generous. Served with our signature BBQ Sauce. Our specialty! 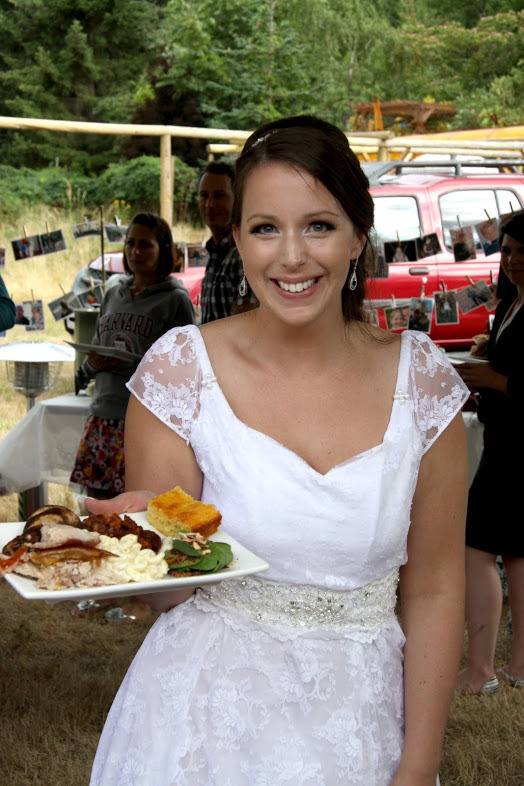 Hertels in Port Alberni supplies us with super high-quality hormone & antibiotic free pork from family run farms in the Fraser Valley. This is fresh at its best and we wouldn’t have it any other way! BBQ sauce included. Carnivore Heaven, BBQ fans dream about slow cooked Beef Brisket! BBQ sauce included. Carved on the buffet. Hands down the best Pork Loin you will ever eat. Served with an Apple, Fig and Braised Onion Chutney. Carved on the buffet! A BBQ twist on an Italian classic… simply delicious! Yeah, we know, you got some Vegetarians on your guest list! That’s OK, be nice, cause everyone’s gonna love this Mac & Cheese! *** Believe it or not, we do have Vegetarian & Gluten Free options – let’s discuss.